Habitat Lake or pond, rice field, stream. Range in Japan Kanto and Hokuriku District to western Japan. Ogasawara (Bonin) Islands. Date First introduction was in 1920s in Okinawa and Ogasawara. Infested on mainland since 1990s. Route Deliberate: as ornamental plant. 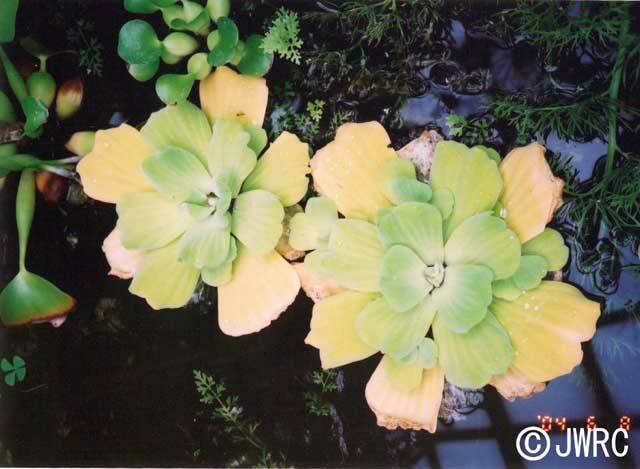 In past, many water Water lettuces were imported and cultivated, and distributed in Japan. Impact Competition with native plants and rice. Water pollution. Inhibition of water current. Allolopathy. Host for insects, land snails, and fungi. Affected organism: Native aquatic plants and rice.